Have you found that the morning comes quickly after nights of tossing and turning? Restlessness sometimes follows us into the next day when we fail to leave our troubles at the Cross of Grace. These heavy weights that steal sleep and prevent peace are soul-draining burdens we allow access in our wandering, almost like friends we invite along for the journey. The truth is, they are not friendly, these troubles we court. Sometimes they come in the form of distractions. Sometimes they taunt us with disappointments. Always they rob us of Grace. When our hearts are soaking in the presence of the Lord, His presence invites the power of JOY. He rebuilds within us the walls that reflect His craftsmanship and we become luminescent with the refraction of the light he shines deep. Yet… when we choose to dwell in the limited possibilities, the lies of complacency, the misleading echoes of not enough and seeking more, we are building Jericho walls. They will fall with a quaking thunder, destructive, because they have no foundation to uphold them and often we are the ones who come away bruised. When the weight of tomorrow or the pain of those you love deep threatens close, remember that you have been called by name by the One who goes before you. There has a been a weight on my soul, a heavy burden for friends whose lives are broken and for the many who are unaware of the massive love letter penned just for them. And I wonder, I speculate, I consider, how will they know unless we… those who KNOW this source.. tell them? Or better yet, show them. You are called to Him, run into Grace. If you are feeling lost, alone, and unseen today, turn around and listen for the One who has been calling your name. The One who is composing a melody of beauty to match the beating of your heart, He is there waiting for you to find Him. And run, don’t walk…..RUN into the arms of grace, waiting to surround you with a force of love that casts out all fear. Soon the shackles of restlessness will be as a one-strand chord, easily broken by binding of His life within your own. Listen closely to the possibility that rivals any boundary the world sets as a limit. Bask in the power of the Word of Truth as a fire ignites your spirit. Drown out the sounds that carry covetousness on the wind. Live as one who is called. 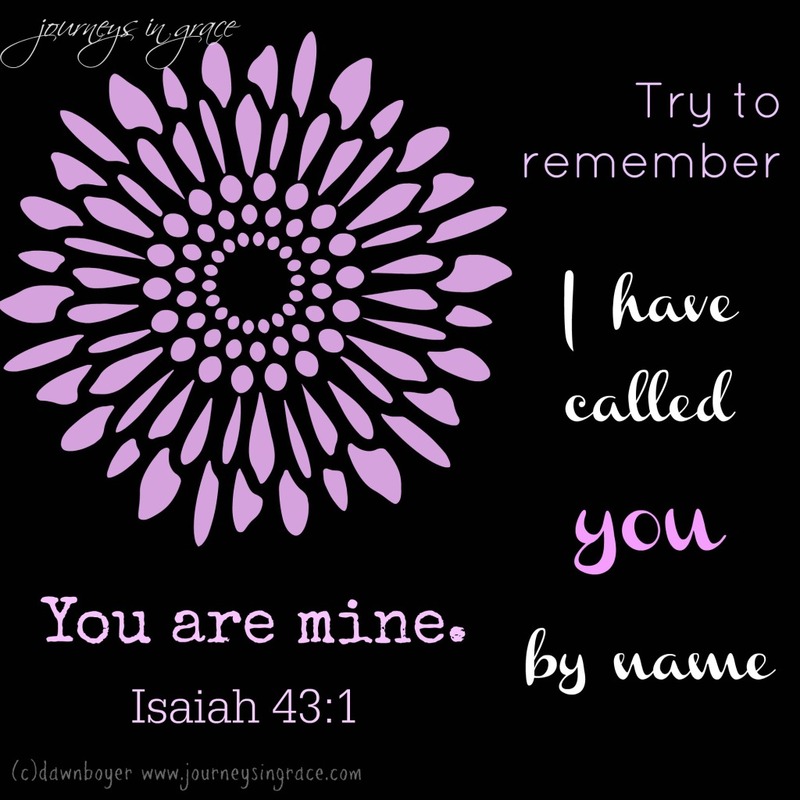 But now, thus says the Lord, He Who created you, O Jacob, and He Who formed you, O Israel: Fear not, for I have redeemed you; I have called you by your name: you are Mine. I will go before you, and make the crooked places straight. I will break in pieces the gates of brass and cut asunder the bars of iron. 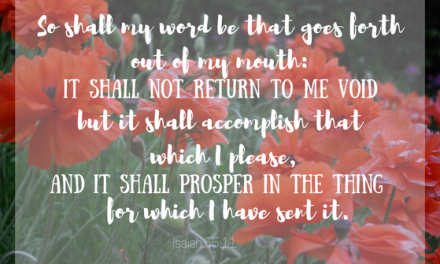 I will give you the treasures of darkness, and hidden riches of secret places, that you may know it is I the Lord, the God of Israel, Who calls you by name. Stop and consider the words that are being spoken over you and let them touch the depth of your heart. Because the reality is you are not alone. The Lord goes before you and He has never left you. And you know what else? Would you let me pray for your heart today, friend? Let us be found in you, clothed in the grace that you offer, bound to the promises of truth that are waiting in your Word for us to hide deep in our hearts. As your light finds us, let your countenance lift us up and your love fill us till we are overflowing in the fullness of your generous spirit. May we be, as earthen vessels, broken in our reality but leaking your light, luminescent to the world as an emission of what you offer to the hurt in our lives. You are the answer to the restless inside. You have called us by name and have sealed us with your spirit that we may run, yes run in strength, right into the arms of grace. Help us to trust that you go before us, that you never leave us, never forsake us. Help us to see you in the deep waters of weariness, the overflowing rivers of temptation, and the burning heat of the fire of the trial. Help us to remember you love us with an everlasting love and that you make our crooked places straight in your faithfulness. Cause us to hear the sweet song of mercy you allow to sway over us in your joyful song of might. 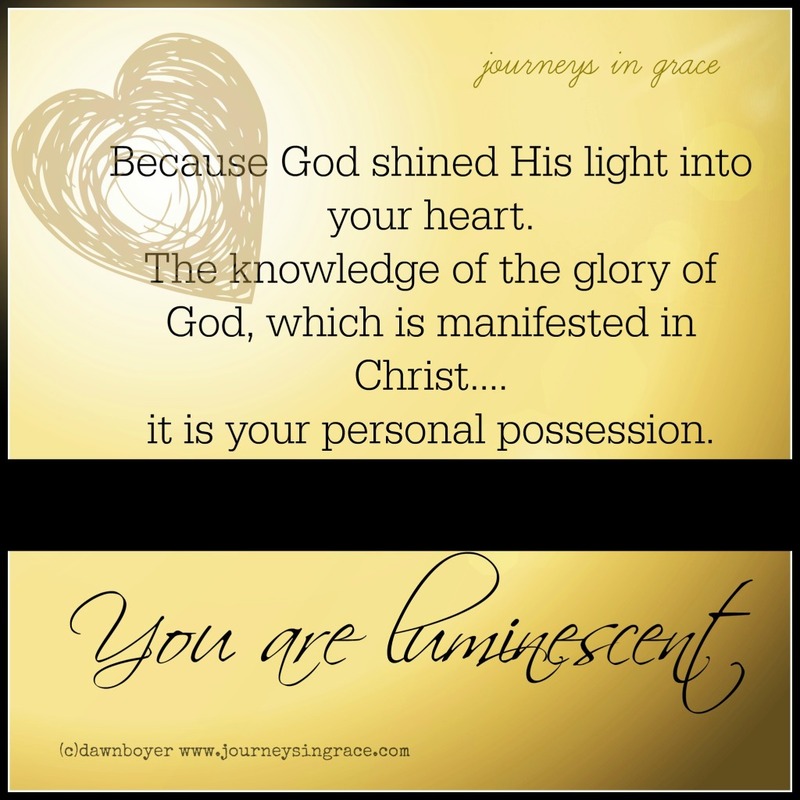 Praying for the power of His light to illuminate your every step! This is such a beautiful prayer. Just what I needed. “We are building walls of Jericho.”…that really struck me. Sometimes I wonder if we get some kind of satisfaction from dwelling in our own pain. The light of the Lord lives within each of us, yet we run around in circles seeking more and more. I’m focusing on shining His light brightly in the new year! Love that! And love you. Your heart to love is what drew me to you, my Beautiful friend. I need to determine a few open dates for me and message you so we can get something on the calendar.